Natural organic matter (NOM) affects some qualitative parameters of water such as color. In addition, it can deteriorate the performance of water treatment process including coagulation, adsorption, and membranes. NOM also reacts with chlorine in the chlorination process and may form disinfection by-products. The present study was carried out in laboratory-scale in a batch system using a cylinder shape reactor with effective volume of 2 l. The initial NOM concentrations during the study period were 10, 25, and 50 mg/l. After specific time intervals, samples were taken from the reactor and filtered. Finally, the NOM removal according to total organic carbon (TOC) content of the samples that were analyzed with a TOC analyzer. The results showed that the highest NOM removal efficiency for three initial concentrations 10, 25, and 50 mg/l were 91, 94, and 82%, respectively. These removal efficiencies were obtained at pH 7, contact time of 20 min, and electrical current of 0.1 A. The electrical energy consumption was 0.08, 0.06, and 0.03 kWh/m3, respectively. In this study, the application of electrocoagulation (EC) treatment method using combined Al and Fe electrode was examined to remove NOM from aqueous solution. Based on the obtained results, the EC can be used as an effective method for removing NOM from aqueous solution. Zazouli MA, Nasseri S, Mesdaghinia A. Study of Natural Organic Matter Characteristics and Fractions in Surface Water Resources of Tehran. Iran J Health Environ 2008; 1(1): 1-7. Crittenden JC, Trussell RR, Rhodes R, Hand DW, Howe KJ, Tchobanoglous G. MWH's Water Treatment: Principles and Design. New Jersey, NJ: Wiley; 2012. Goslan EH, Fearing DA, Banks J, Wilson D, Hills P, Campbell AT, et al. Seasonal variations in the disinfection by-product precursor profile of a reservoir water. J Water SRT-Aqua 2002; 51: 475-82. Huang H, Lee N, Young T, Gary A, Lozier JC, Jacangelo JG. Natural organic matter fouling of low-pressure, hollow-fiber membranes: Effects of NOM source and hydrodynamic conditions. Water Res 2007; 41(17): 3823-32. Fan L, Harris JL, Roddick FA, Booker NA. Influence of the characteristics of natural organic matter on the fouling of microfiltration membranes. Water Res 2001; 35(18): 4455-63. Huang W, Peng P, Yu Z, Fu J. Effects of organic matter heterogeneity on sorption and desorption of organic contaminants by soils and sediments. Applied Geochemistry 2003; 18(7): 955-72. Saeedi R, Naddafi K, Nabizadeh R, Mesdaghinia A, Nasseri S, Alimohammadi M, et al. Simultaneous Removal of Nitrate and Natural Organic Matter from Drinking Water Using a Hybrid Heterotrophic/Autotrophic/Biological Activated Carbon Bioreactor. Environ Eng Sci 2012; 29(2): 93-100. Feering DA. Process options for the water treatment of humic rich waters [PhD Thesis]. Bedford, UK: School of Water Science, Cranfield University; 2004. Daneshvar N, Sorkhabi HA, Kasiri MB. Decolorization of dye solution containing Acid Red 14 by electrocoagulation with a comparative investigation of different electrode connections. J Hazard Mater 2004; 112(1-2): 55-62. Kim TH, Park C, Shin EB, Kim S. Decolorization of disperse and reactive dyes by continuous electrocoagulation process. Desalination 2002; 150(2): 165-75. Bayramoglu M, Eyvaz M, Kobya M. Treatment of the textile wastewater by electrocoagulation: Economical evaluation. Chemical Engineering Journal 2007; 128(2-3): 155-61. Tezcan UU, Koparal AS, Bakir OU. Electrocoagulation of vegetable oil refinery wastewater using aluminum electrodes. J Environ Manage 2009; 90(1): 428-33. Mollah MY, Schennach R, Parga JR, Cocke DL. Electrocoagulation (EC)-science and applications. J Hazard Mater 2001; 84(1): 29-41. 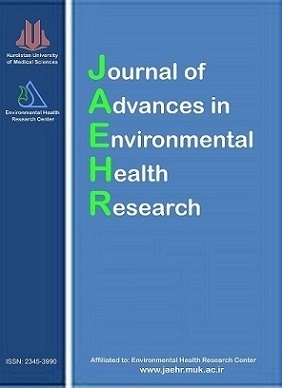 Bazrafshan E, Joneidi Jaafari A, Kord Mostafapour F, Biglari H. Humic acid Removal from Aqueous Environments by Electrocoagulation Process Duad with Adding Hydrogen Peroxide. Iran J Health Environ 2012; 5(2): 211-24. Koparal AS, Yildiz YS, Keskinler B+, Demircioglu N. Effect of initial pH on the removal of humic substances from wastewater by electrocoagulation. Separation and Purification Technology 2008; 59(2): 175-82. Mollah MY, Pathak SR, Patil PK, Vayuvegula M, Agrawal TS, Gomes JA, et al. Treatment of orange II azo-dye by electrocoagulation (EC) technique in a continuous flow cell using sacrificial iron electrodes. J Hazard Mater 2004; 109(1-3): 165-71. Janssen LJJ, Koene L. The role of electrochemistry and electrochemical technology in environmental protection. Chemical Engineering Journal 2002; 85(2-3): 137-46. Chen G. Electrochemical technologies in wastewater treatment. Separation and Purification Technology 2004; 38(1): 11-41. Ghernaout D, Ghernaout B, Saiba A, Boucherit A, Kellil A. Removal of humic acids by continuous electromagnetic treatment followed by electrocoagulation in batch using aluminium electrodes. Desalination 2009; 239(1-3): 295-308. Chou WL, Wang CT, Hsu CW, Huang KY, Liu TC. Removal of total organic carbon from aqueous solution containing polyvinyl alcohol by electrocoagulation technology. Desalination 2010; 259(1-3): 103-10. Hsing HJ, Chiang PC, Chang EE, Chen MY. The decolorization and mineralization of acid orange 6 azo dye in aqueous solution by advanced oxidation processes: a comparative study. J Hazard Mater 2007; 141(1): 8-16. Irdemez S, Demircioglu N, Yaldiz YS, Z?leyha Bing?l. The effects of current density and phosphate concentration on phosphate removal from wastewater by electrocoagulation using aluminum and iron plate electrodes. Separation and Purification Technology 2006; 52(2): 218-23. Izquierdo CJ, Canizares P, Rodrigo MA, Leclerc JP, Valentin G, Lapicque F. Effect of the nature of the supporting electrolyte on the treatment of soluble oils by electrocoagulation. Desalination 2010; 255(1-3): 15-20. Veps?l?inena M, Pulliainen M, Sillanp?? M. Effect of electrochemical cell structure on natural organic matter (NOM) removal from surface water through electrocoagulation (EC). Separation and Purification Technology 2012; 99: 20-7. Ho KJ, Liu TK, Huang TS, Lu FJ. Humic acid mediates iron release from ferritin and promotes lipid peroxidation in vitro: a possible mechanism for humic acid-induced cytotoxicity. Arch Toxicol 2003; 77(2): 100-9. Heidmann I, Calmano W. Removal of Ni, Cu and Cr from a galvanic wastewater in an electrocoagulation system with Fe-and Al-electrodes. Separation and Purification Technology 2010; 71(3): 308-14. Yildiz YS, Koparal AS, Irdemez S, Keskinler B. Electrocoagulation of synthetically prepared waters containing high concentration of NOM using iron cast electrodes. J Hazard Mater 2007; 139(2): 373-80. Gomes JA, Daida P, Kesmez M, Weir M, Moreno H, Parga JR, et al. Arsenic removal by electrocoagulation using combined Al-Fe electrode system and characterization of products. J Hazard Mater 2007; 139(2): 220-31. Gharibi H, Sowlat MH, Mahvi AH, Keshavarz M, Safari MH, Lotfi S, et al. Performance evaluation of a bipolar electrolysis/electrocoagulation (EL/EC) reactor to enhance the sludge dewaterability. Chemosphere 2013; 90(4): 1487-94. Asselin M, Drogui P, Brar SK, Benmoussa H, Blais JF. Organics removal in oily bilgewater by electrocoagulation process. J Hazard Mater 2008; 151(2-3): 446-55.